The South Korean technology giant Samsung will be launching an Android-powered 'wristwatch-like' device next month, according to reports from Bloomberg. 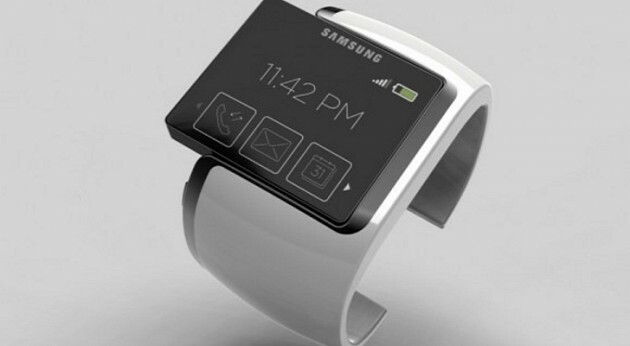 On the 4th of September, Samsung will reveal the Galaxy Gear; which is a smartwatch that'll allow the user to make phone calls, surf the Web and handle e-mails. The Galaxy Gear is likely to be revealed along side the Galaxy Note III, which is set to be announced 2 days before the consumer electronics show in Berlin. "The global watch industry will generate more than $60 billion in sales this year, and the first companies to sell devices that multitask could lock customers into their platform, boosting sales of smartphones, tablets and TVs." Current smartwatches have under performed to say the least, with Sony's SmartWatch not exactly taking the market by storm. However, this could be due to the lack of popularity Sony's smartphones have received. Furthermore, Apple's iWatch is also facing some difficulties in design, with over 100 developers shipped in to work on the device at the headquarters in Cupertino, California. Since Samsung is the first major company to have a popular smartphone and now a watch, their success will say a lot about the future in the smartwatch industry. Leave your thoughts and comments below.